Holiday Parties, Congratulations, and a New Year. 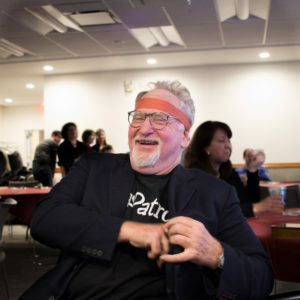 As the Fall Semester ebbed away and the occasional flurry of snowflakes blanketed Keating Hall, the History Department was busy letting off some end-of-semester stress with the annual holiday party in McGinley Hall. Bellies were filled with food and refreshments while hearts were broken in a rapacious white elephant gift exchange. Merrymaking and revelry aside, following department tradition the party was also the venue for the announcement of the 2015-6 Loomie Prize. 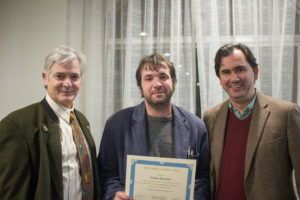 This year Tobias Hrynick won for his project entitled, “Docke and Recordane: The Case Study of a Milling Dispute in the Latin East.” Congrats Toby! Dr. David Myers (left) and Dr. Nicholas Paul (right) present Tobias Hrynick (center) with the 2015-6 Loomie Prize. 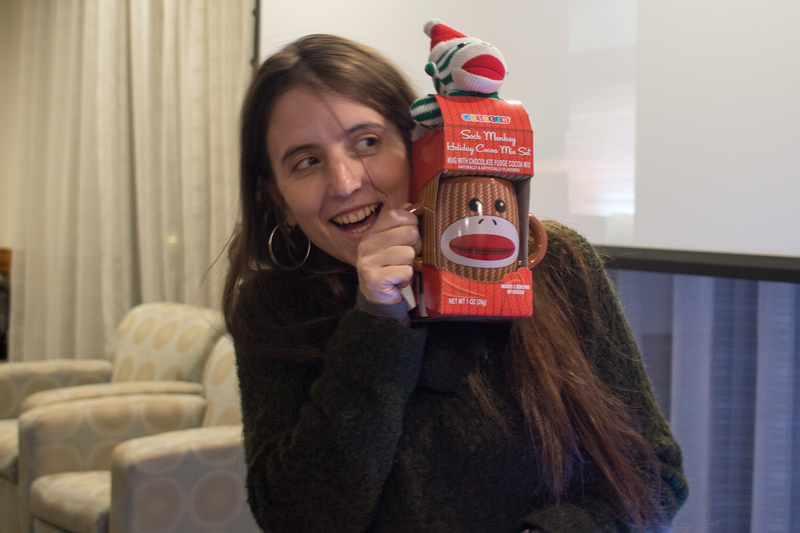 Giulia Crisanti poses with her white elephant gift: a brown monkey mug. Being the victim of constant white elephant thievery doesn’t keep Dr. Mark Naison‘s holiday spirits down. The History Department would like to welcome back faculty and students as the winter break ends and the new year begins. Congrats to everyone for making it through 2016, and congrats once again to Toby on his Loomie Prize! Comments Off on Holiday Parties, Congratulations, and a New Year.